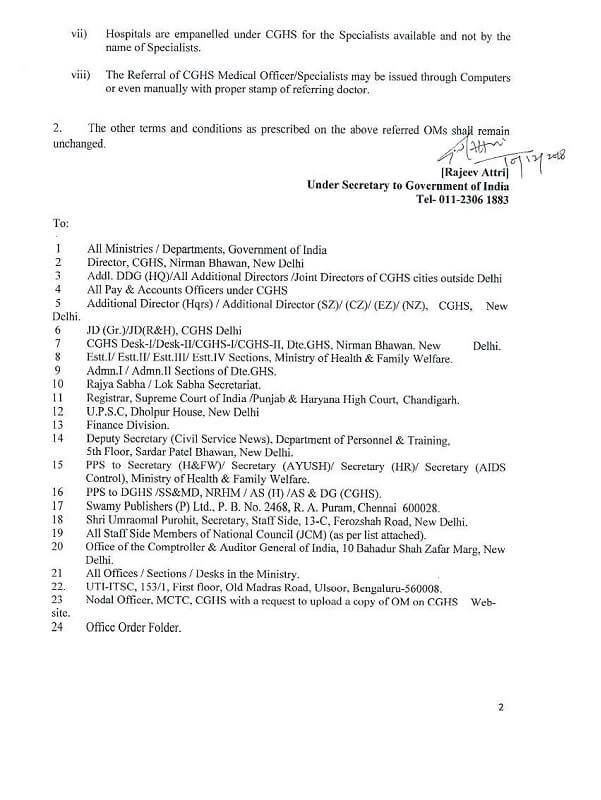 i) Referral from CGHS Medical Officcr / CGHS Specialist for consultation with Specialists at Private Hospitals empanelled under CGHS shall be valid for 30 days in the same hospital. ii) Referral shall be valid for consultations upto 3 times in the same hospital within 30 days. iii) Similarly referral shall be valid for consultation with a maximum of 3 different Specialists, if required during a single visit. 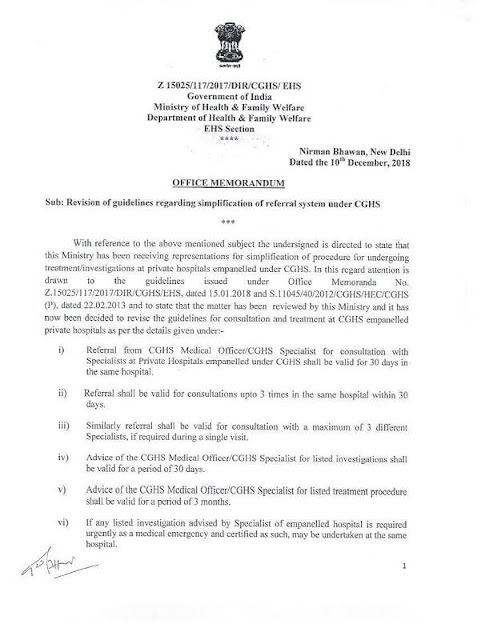 iv) Advice of the CGHS Medical OfficcriCGI IS Specialist for listed investigations shall be valid for a period of 30 days. 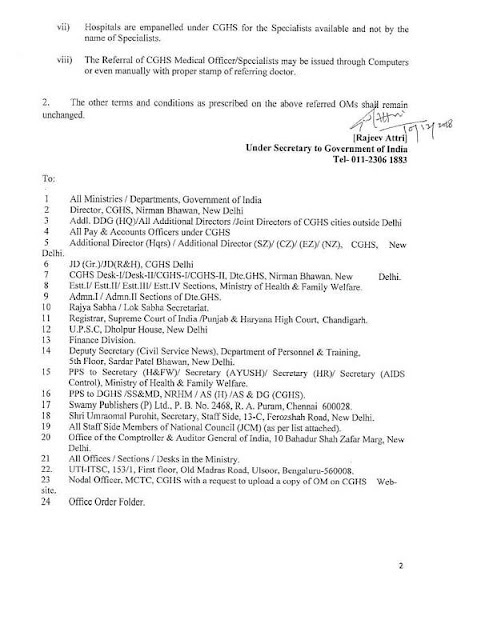 v) Advice of the CGHS Medical Officer/CGFIS Specialist for listed treatment procedure shall be valid fur a period of 3 months. vii) Hospitals are empanelled under CGHS for the Specialists available and not by the name of Specialists. 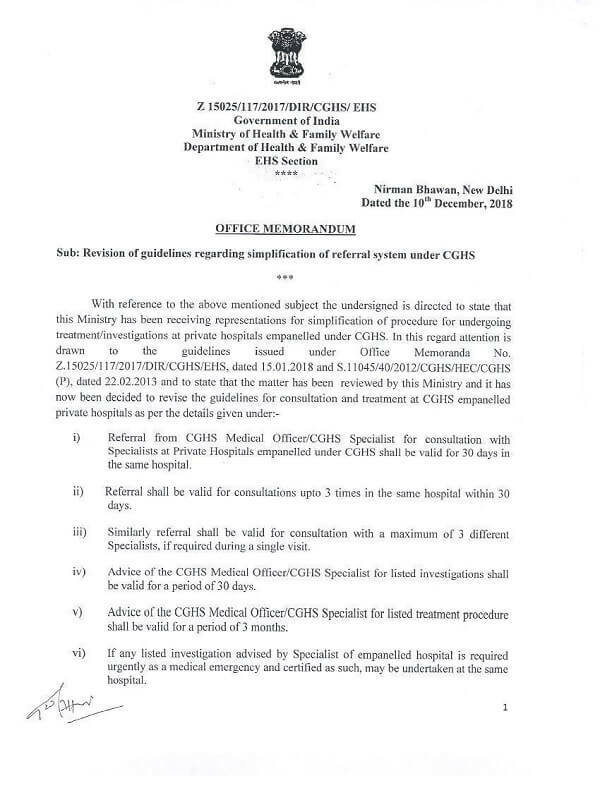 viii) The Referral of CGHS Medical Officer/Specialists may be issued through Computers or even manually with proper stamp of referring doctor. 2. The other terms and conditions as prescribed on the above referred OMs shall remain unchanged.